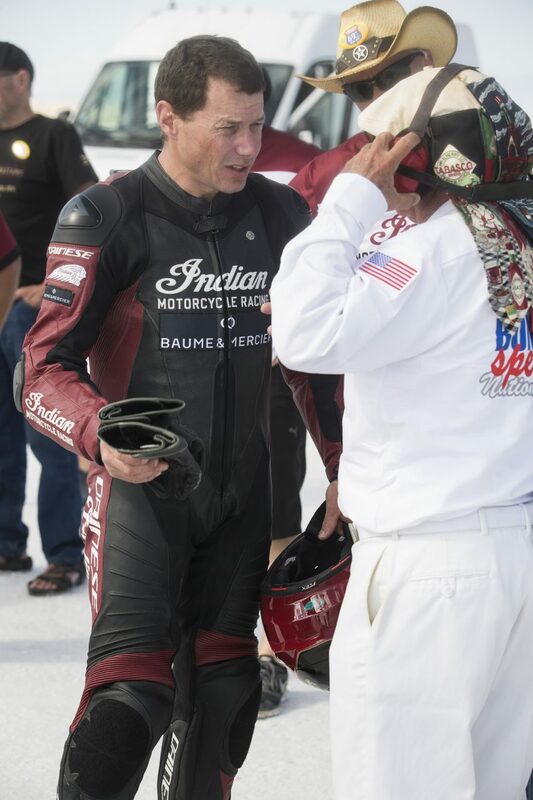 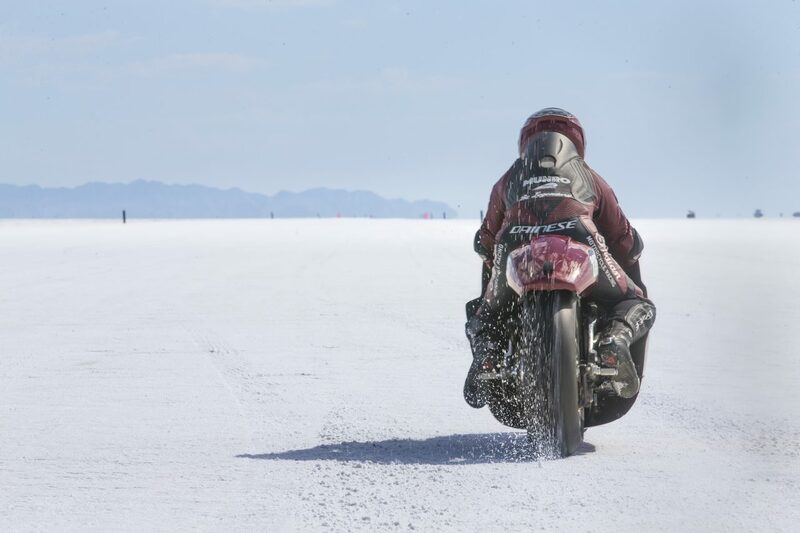 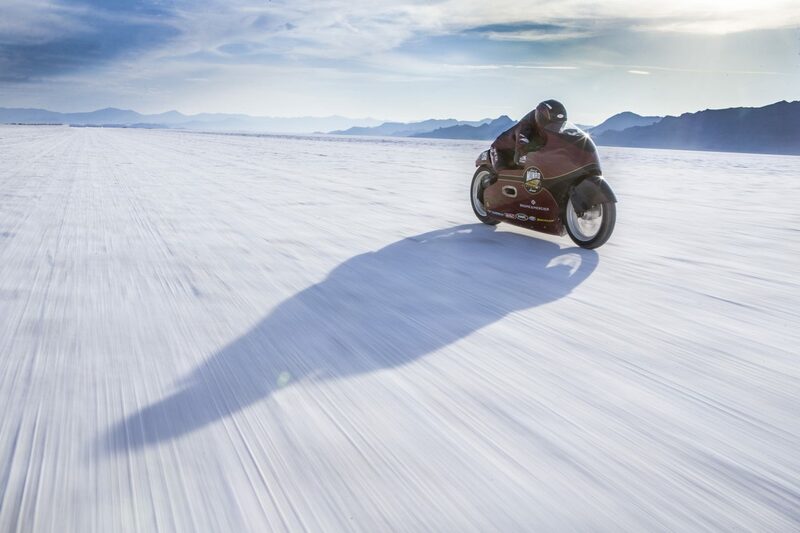 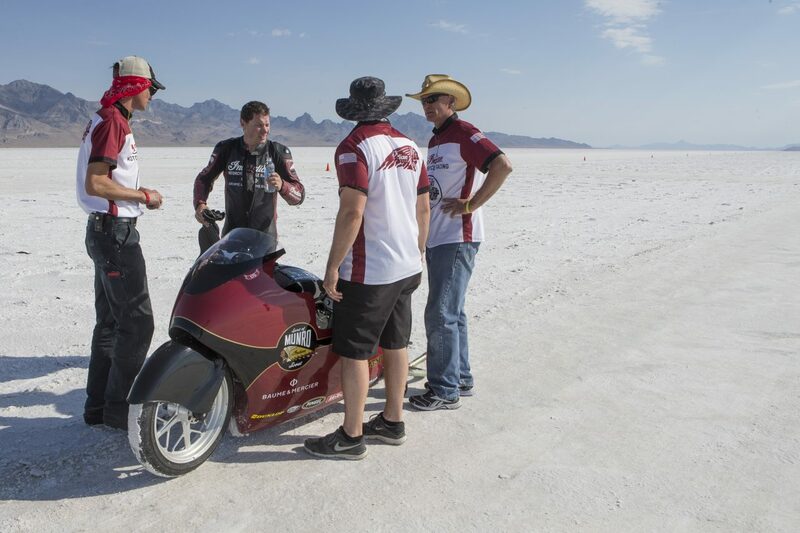 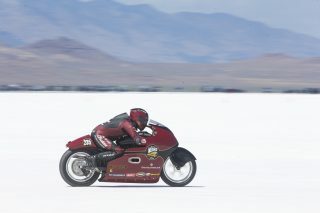 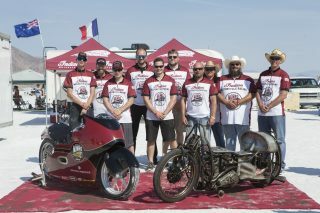 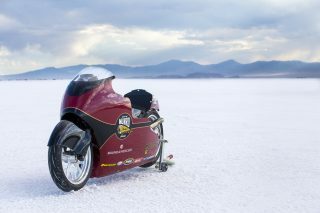 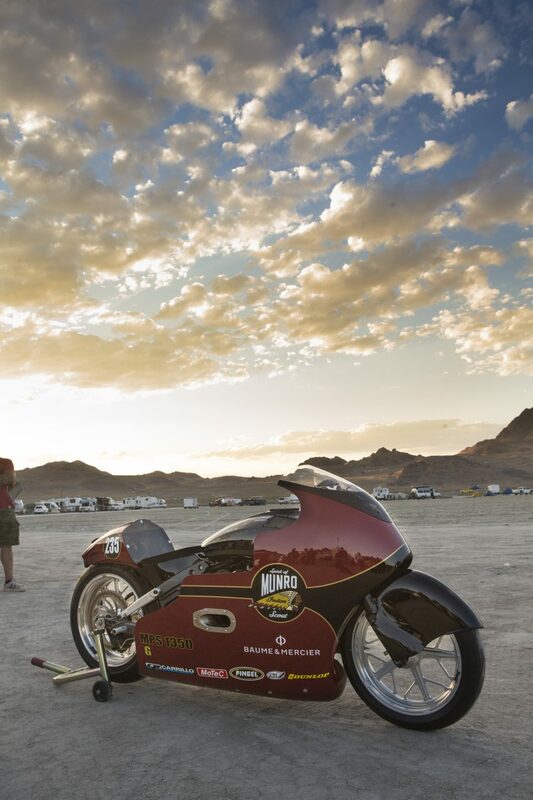 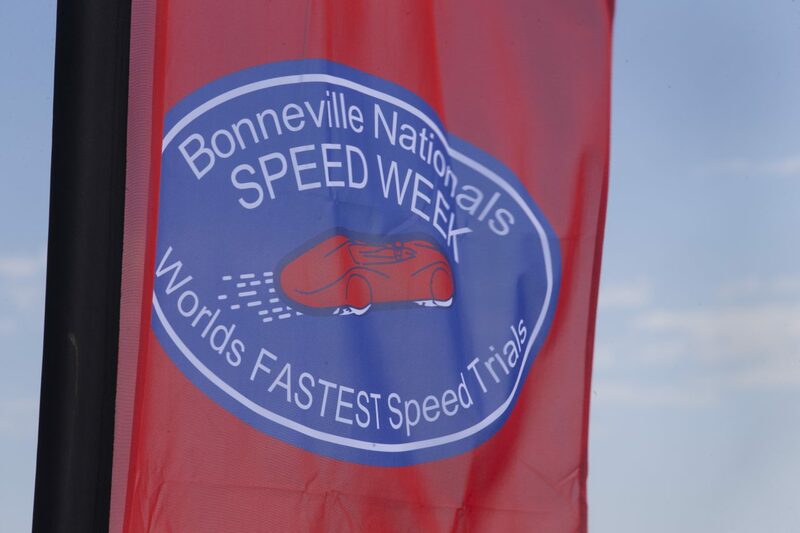 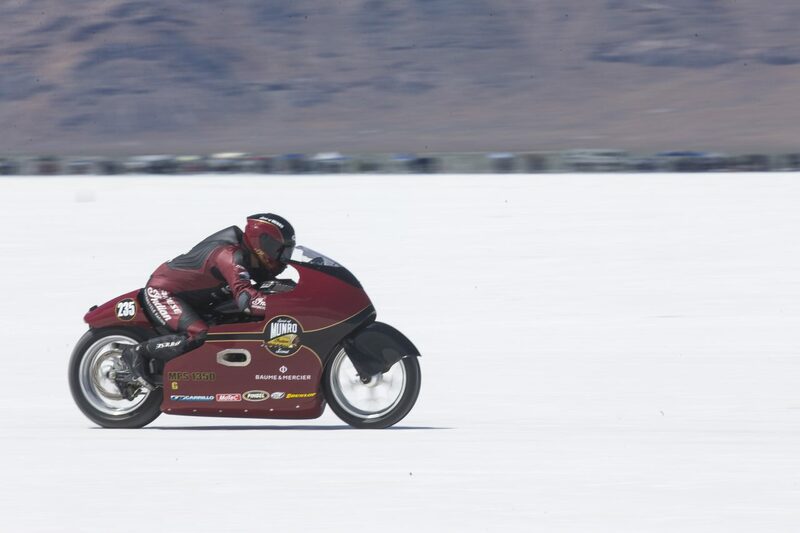 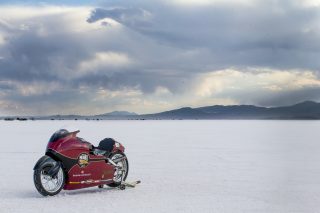 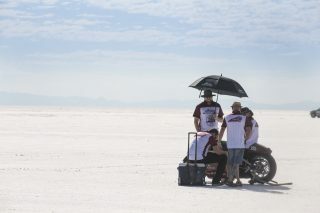 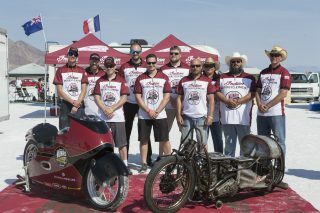 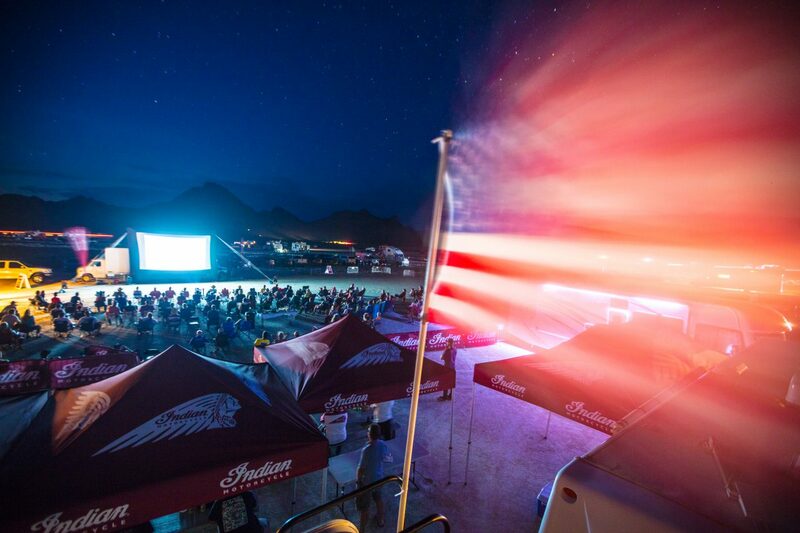 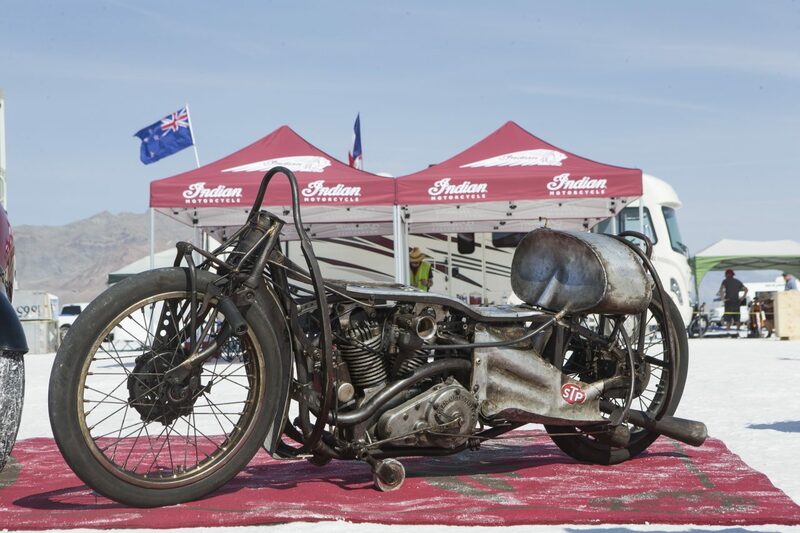 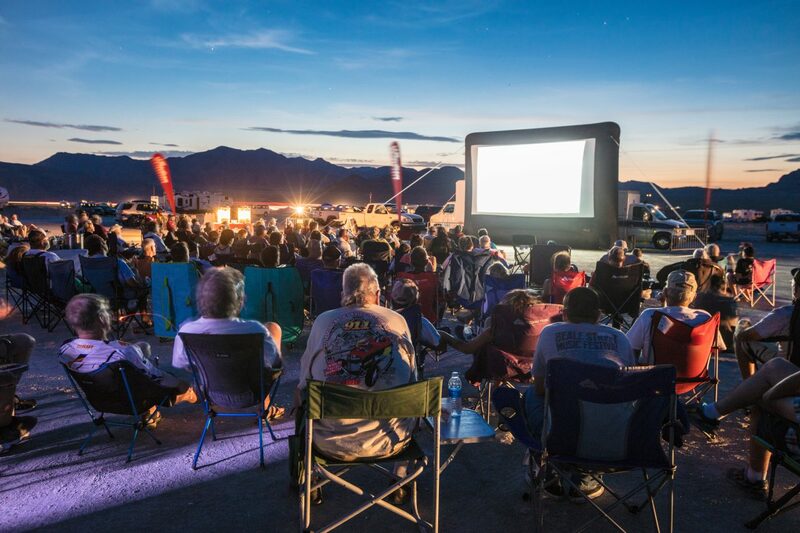 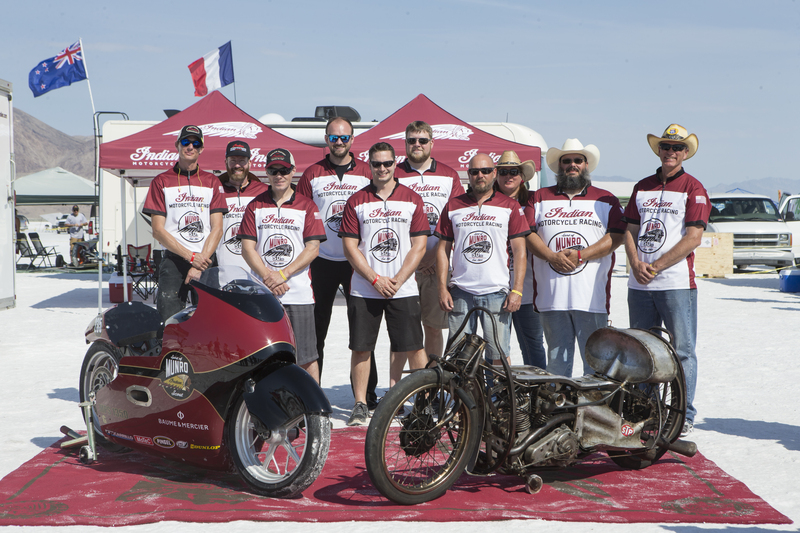 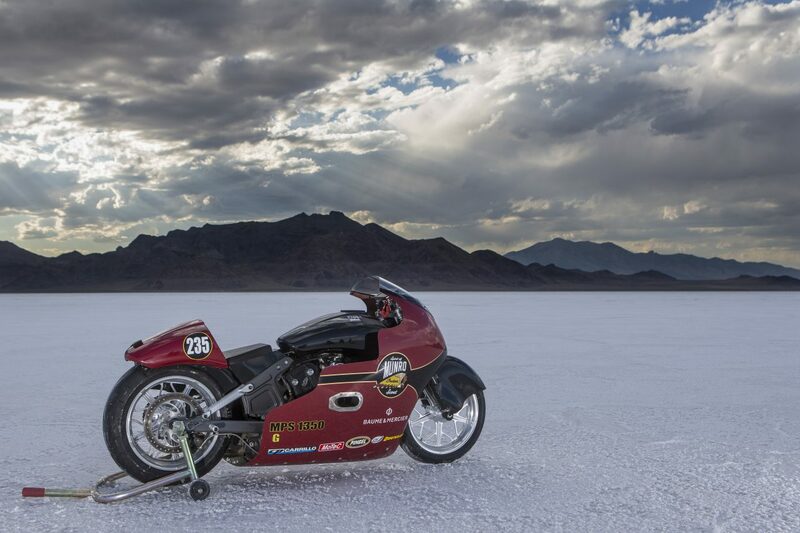 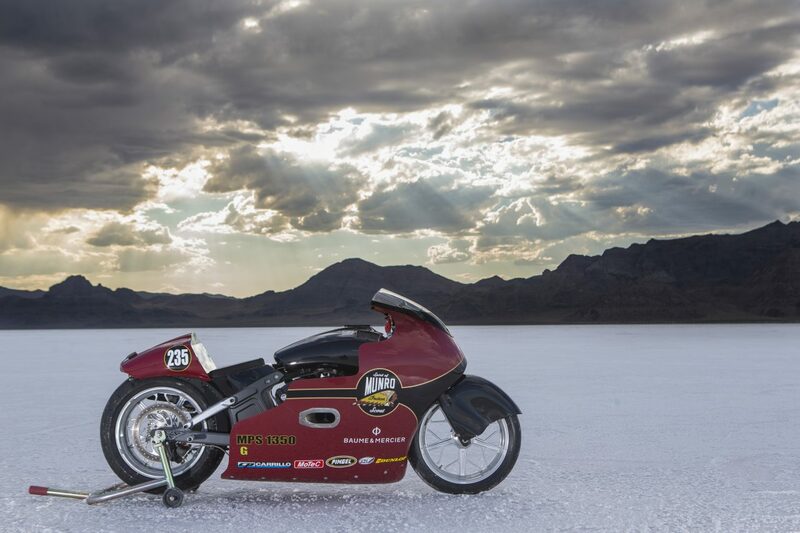 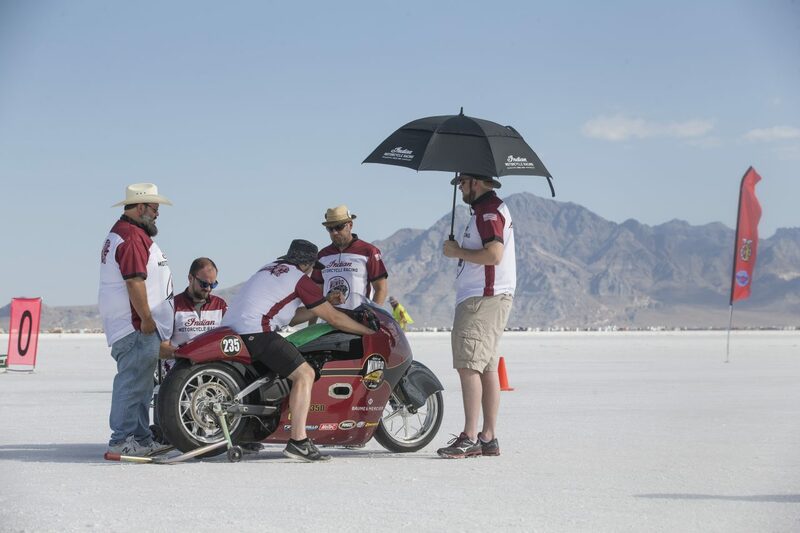 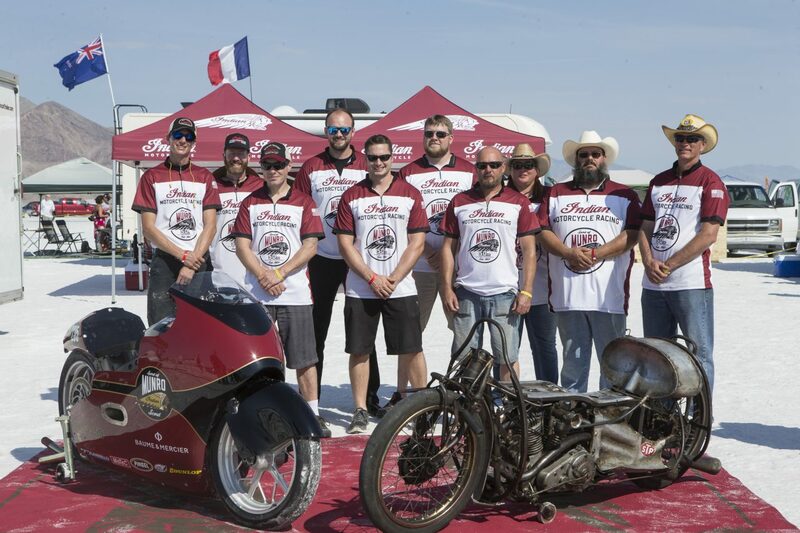 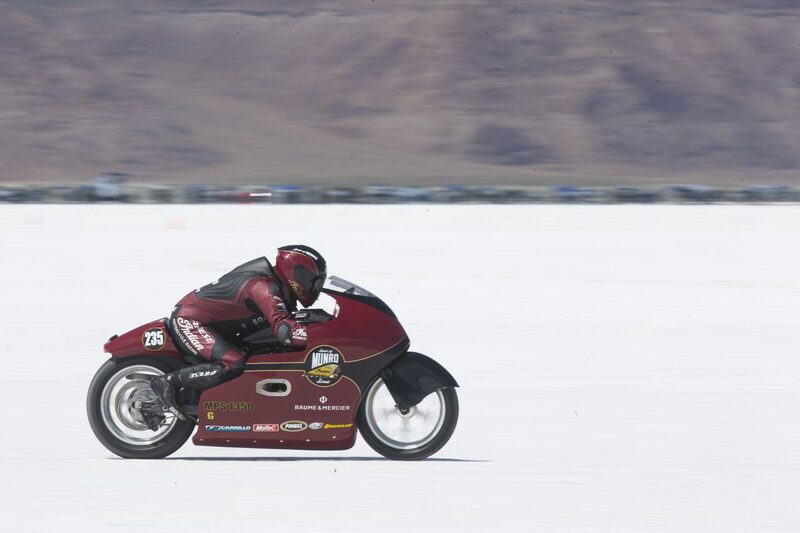 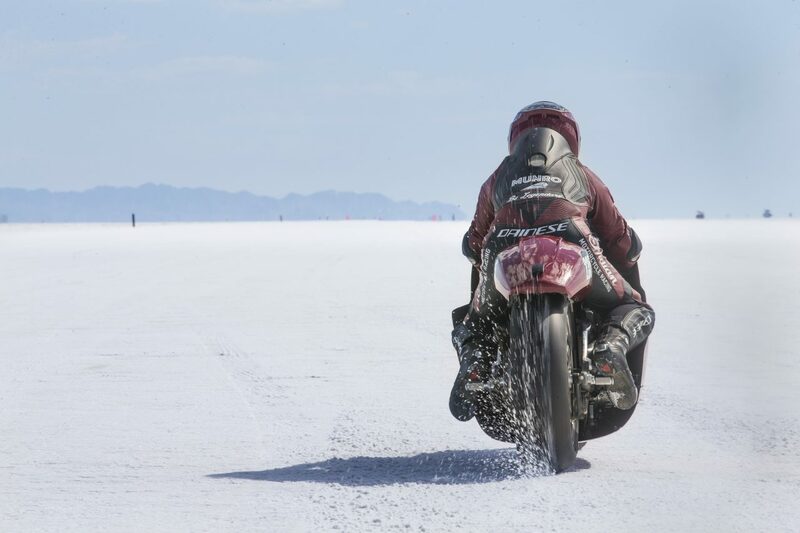 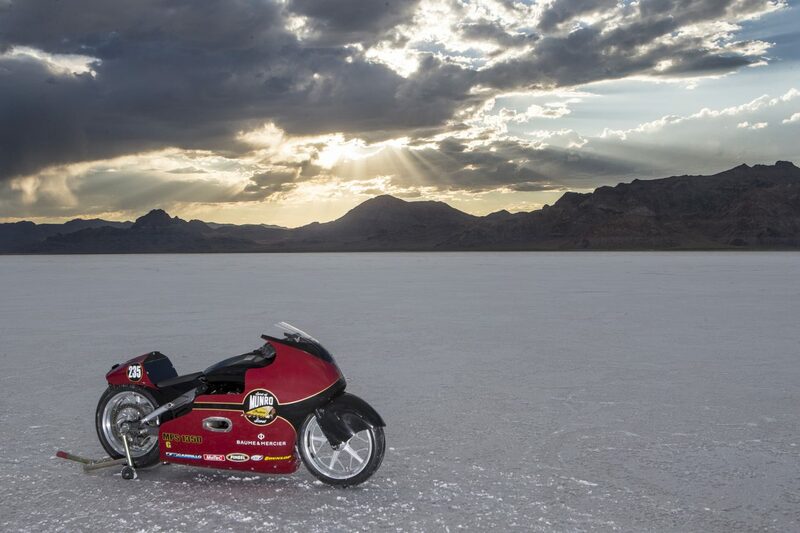 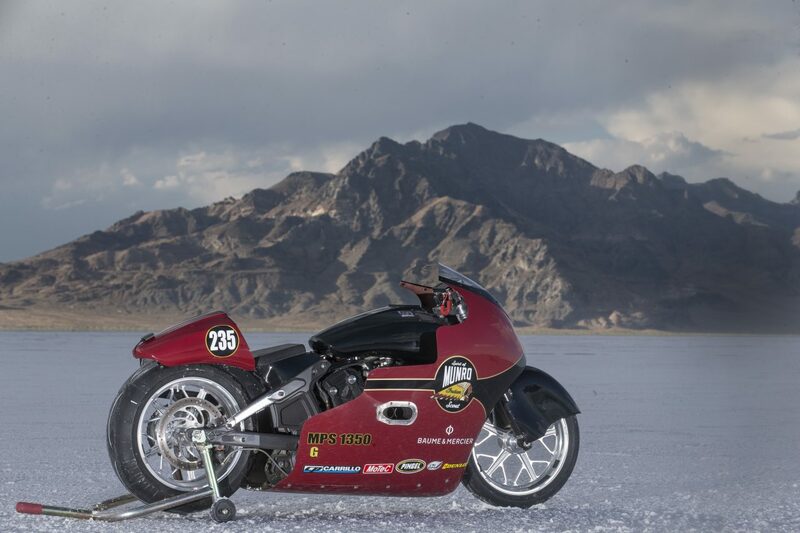 BONNEVILLE, UTAH (August 17, 2017) – This past weekend, Indian Motorcycle kicked off the 69th annual Bonneville Speed Week by paying tribute to the 50th anniversary of Burt Munro’s historic land speed record in grand fashion. 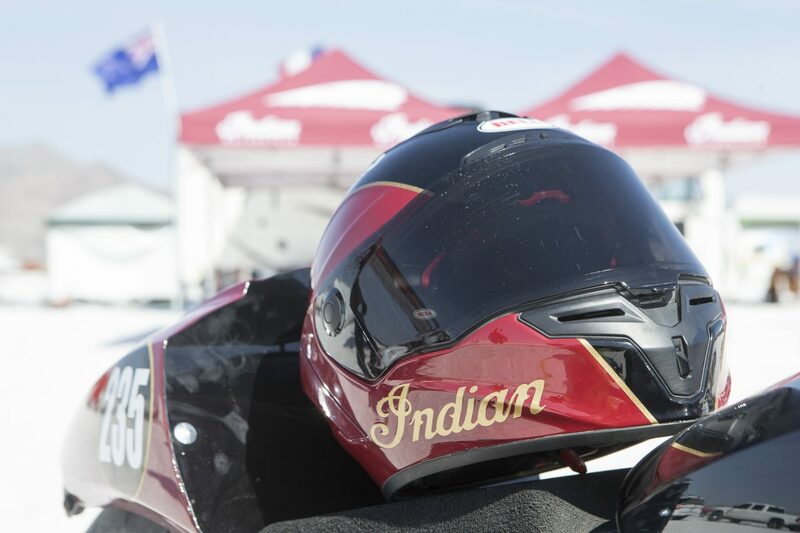 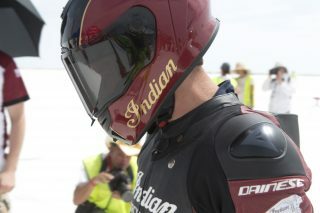 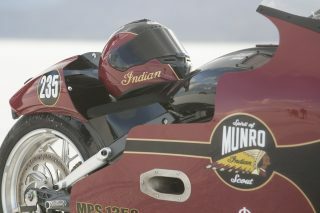 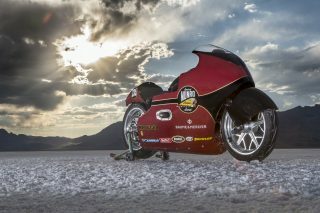 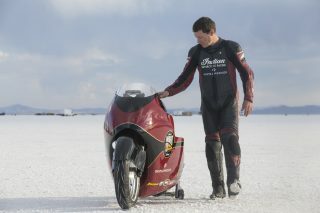 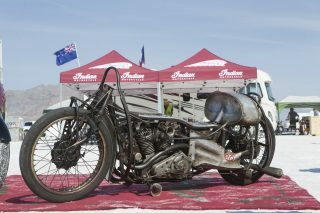 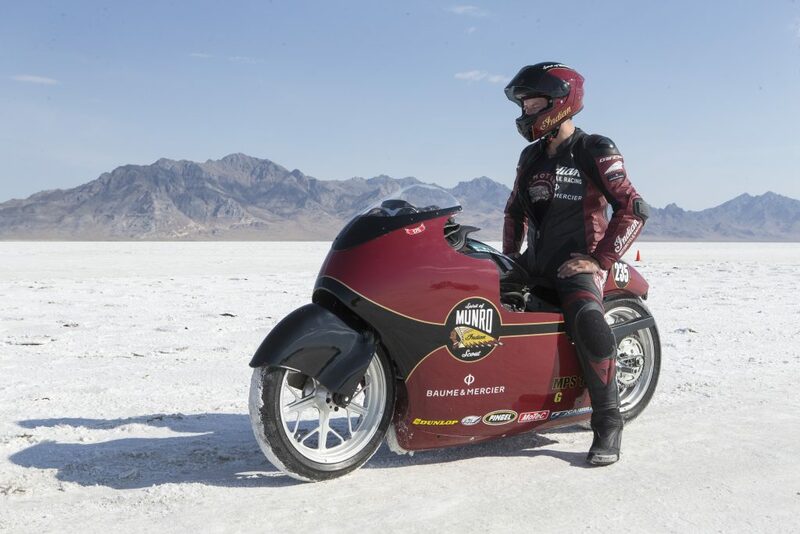 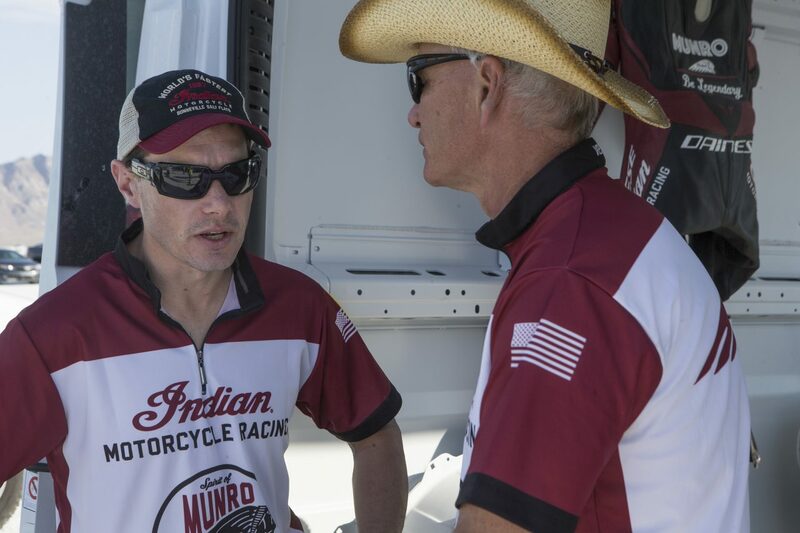 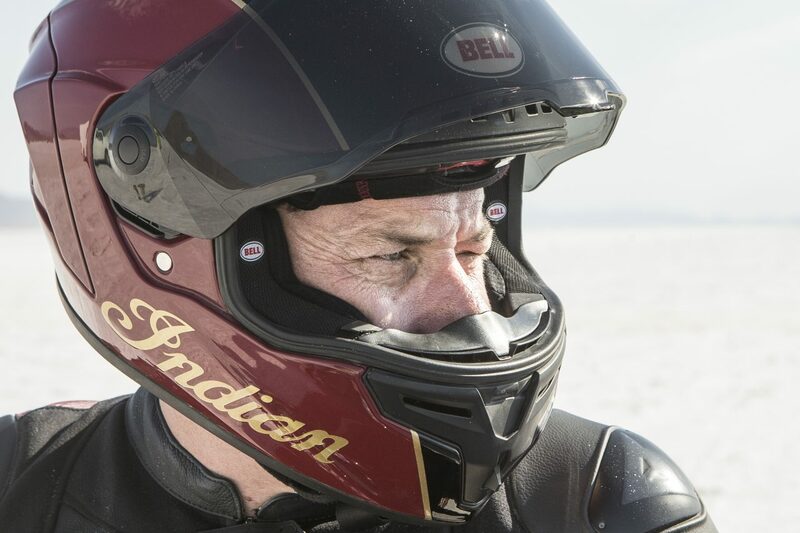 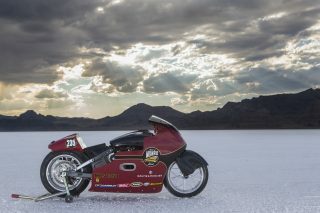 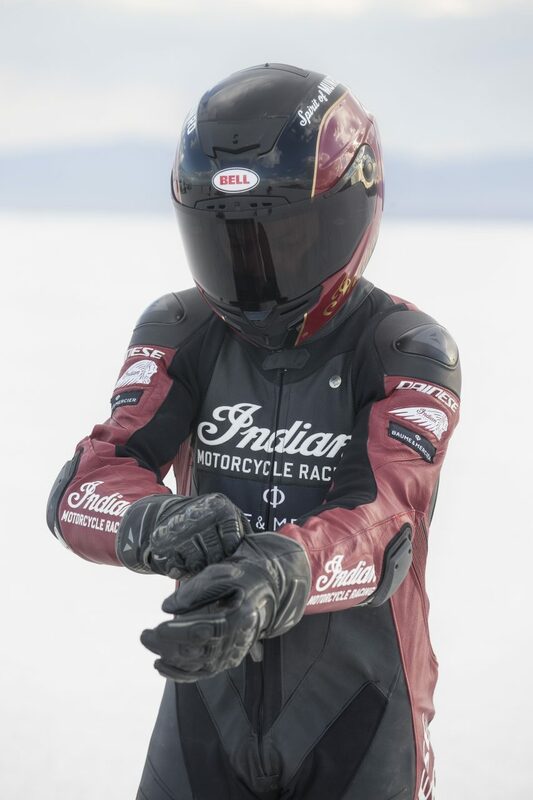 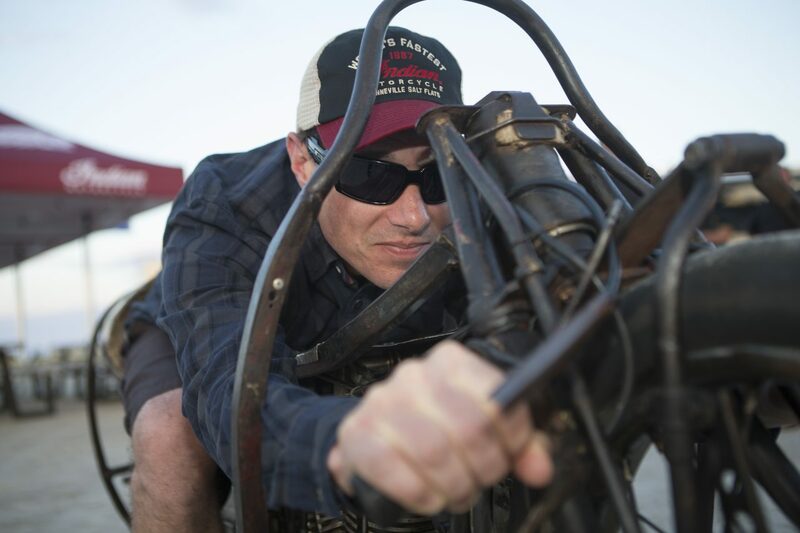 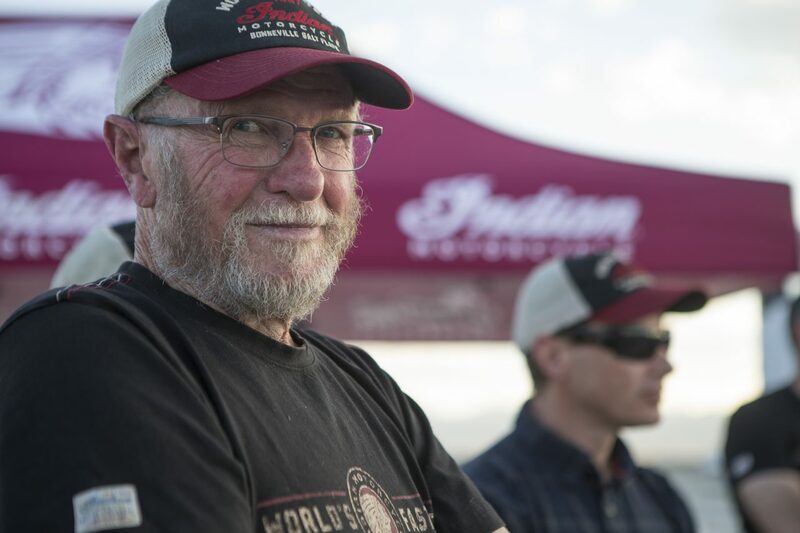 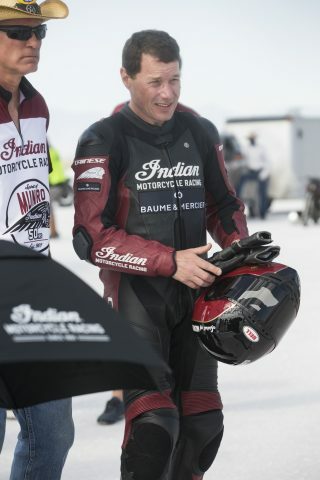 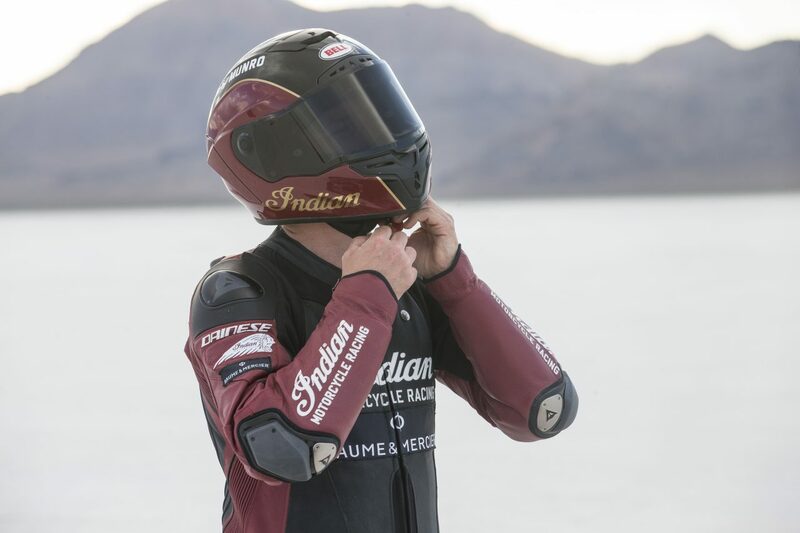 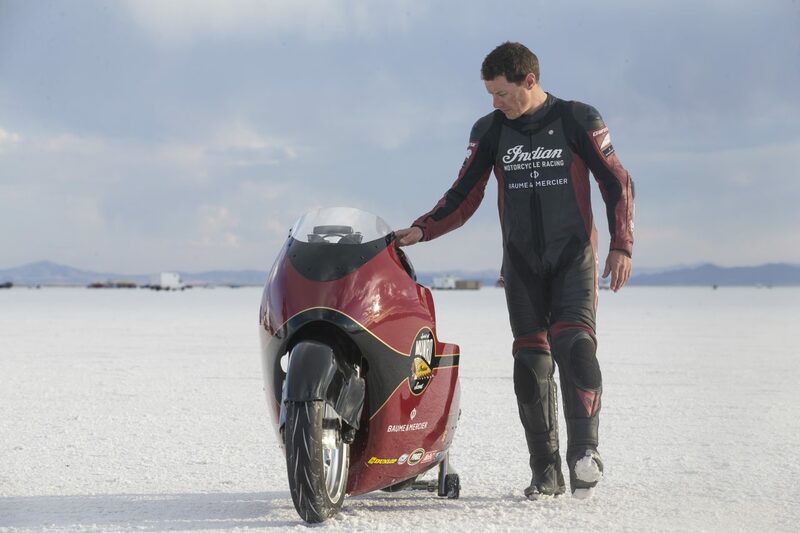 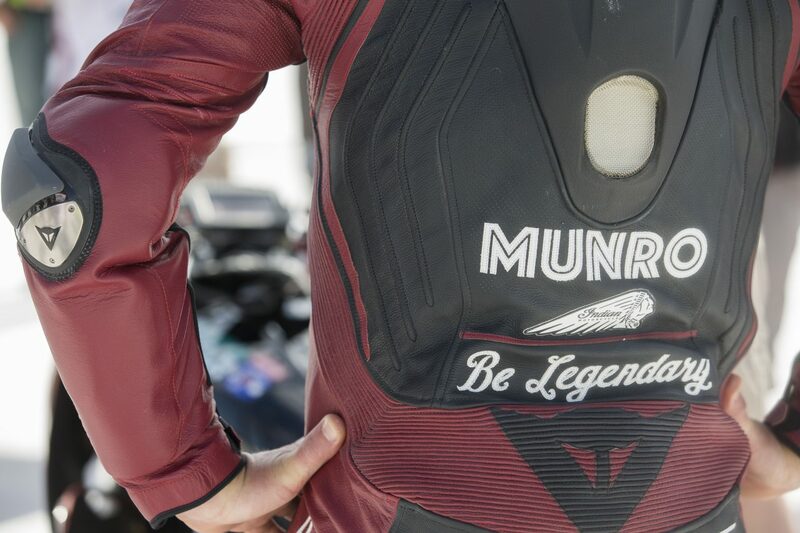 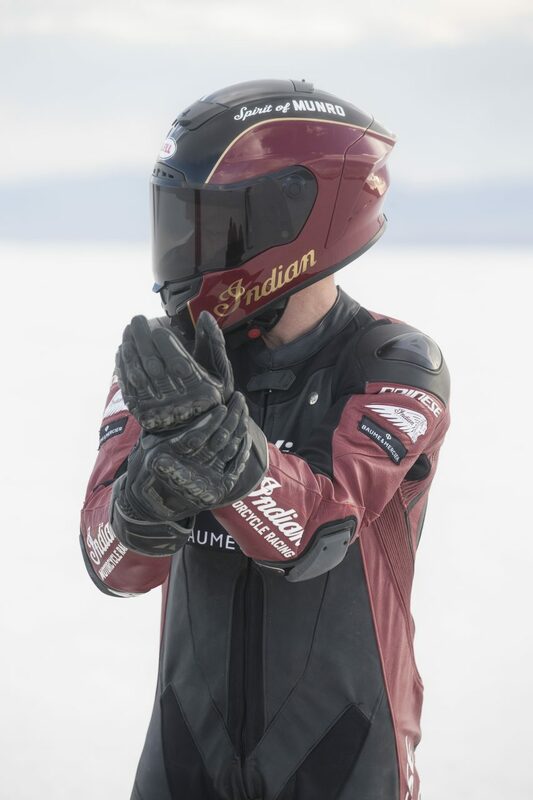 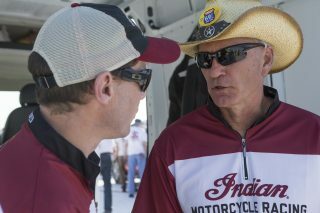 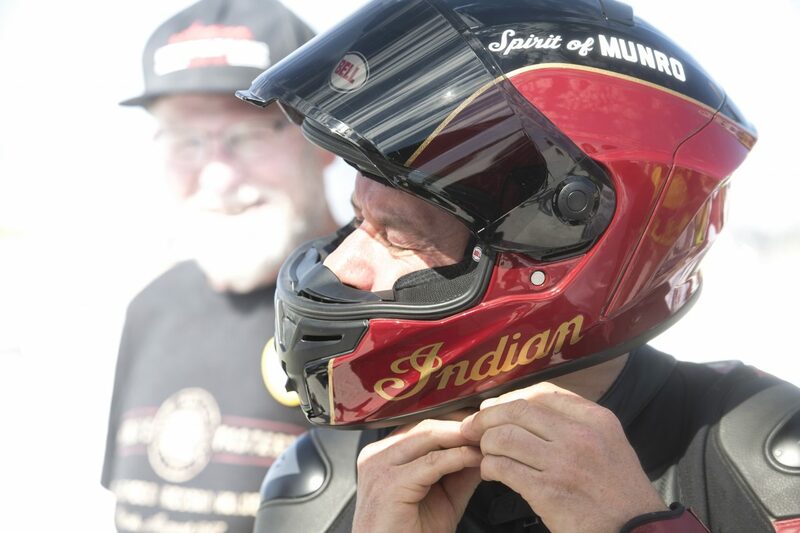 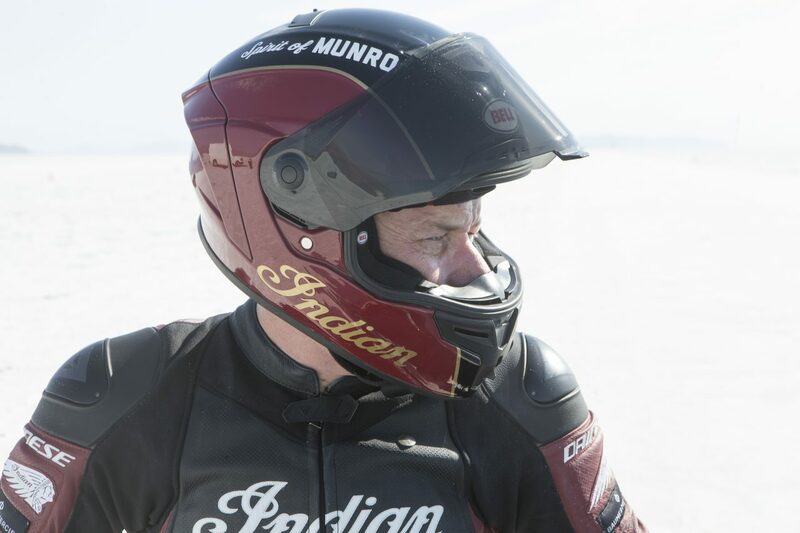 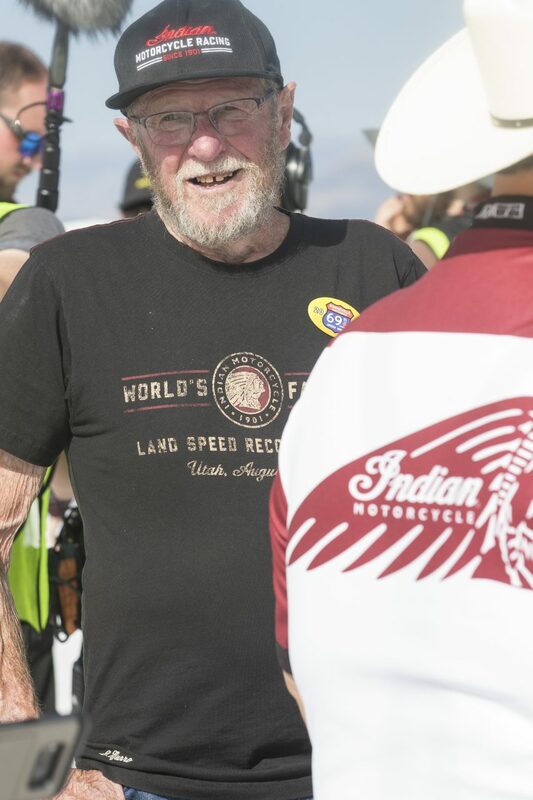 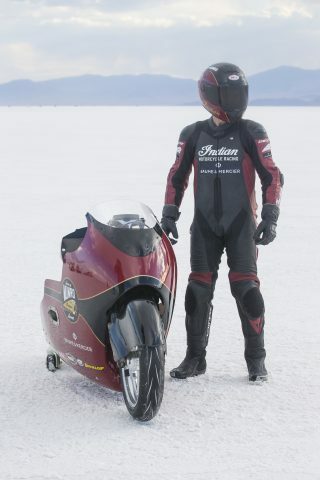 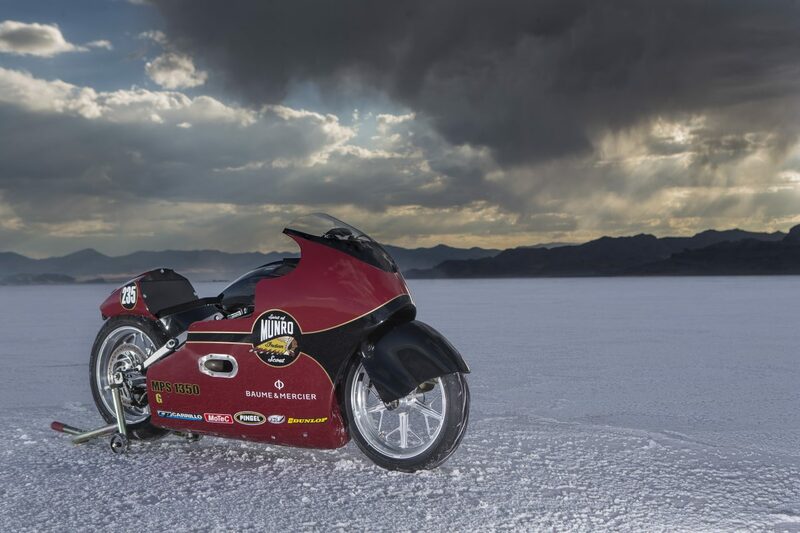 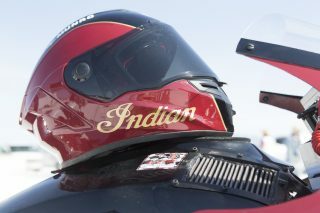 Indian Motorcycle teamed up with Kiwi road racer Lee Munro, Burt Munro’s great nephew, to celebrate the 50th anniversary and make some tribute runs. A team of engineers worked nights and weekends to create and refine Lee’s “Spirit of Munro Scout, a modified and partially streamlined 2017 Scout. 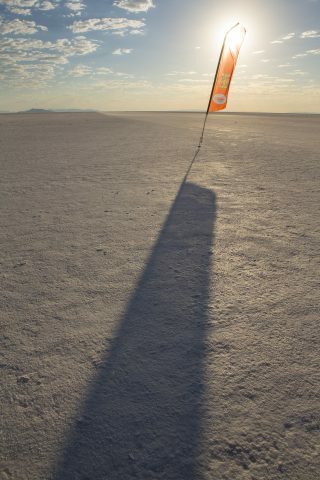 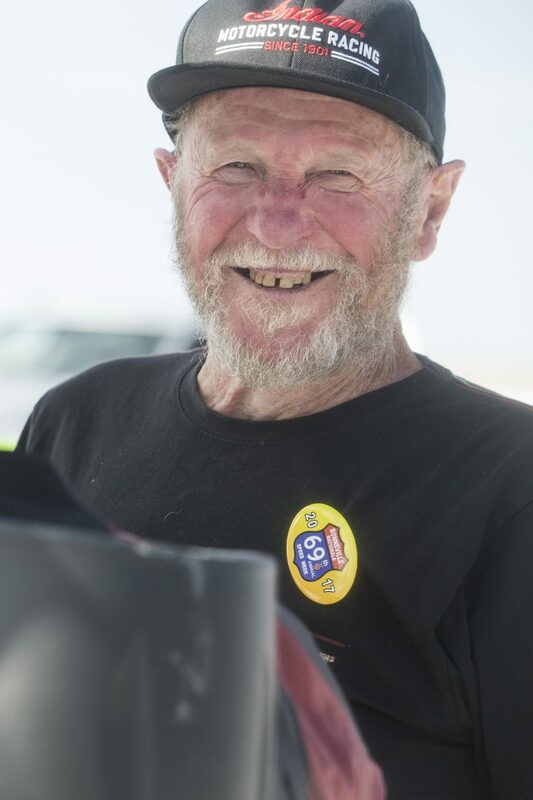 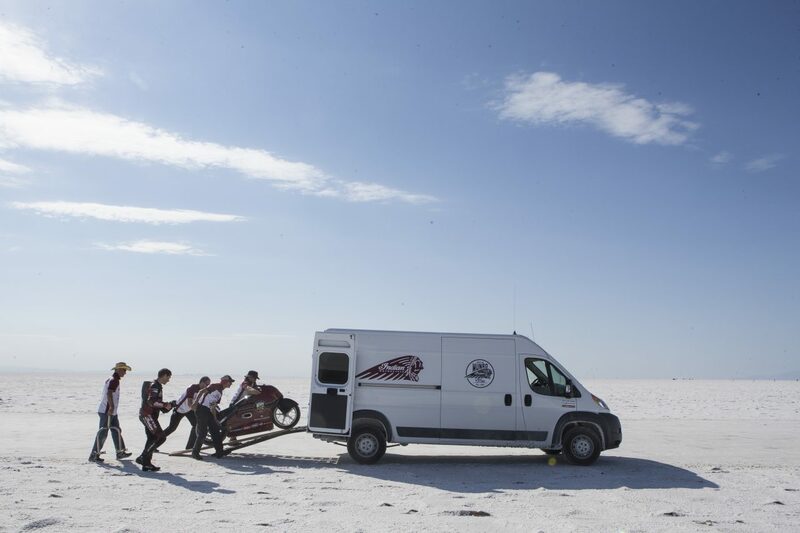 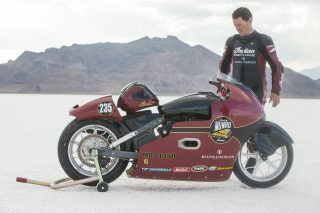 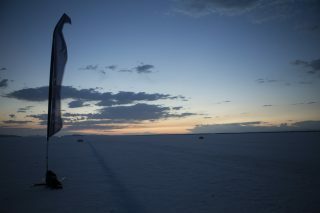 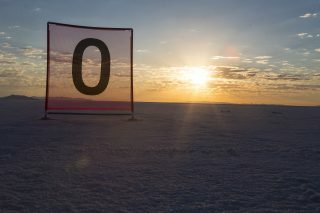 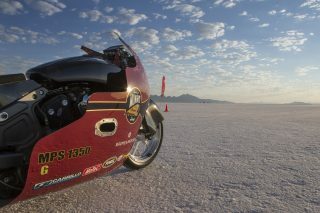 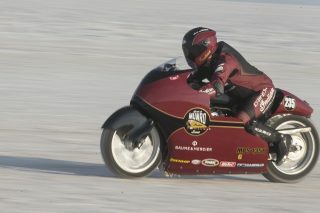 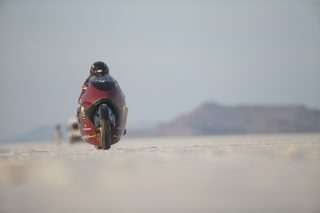 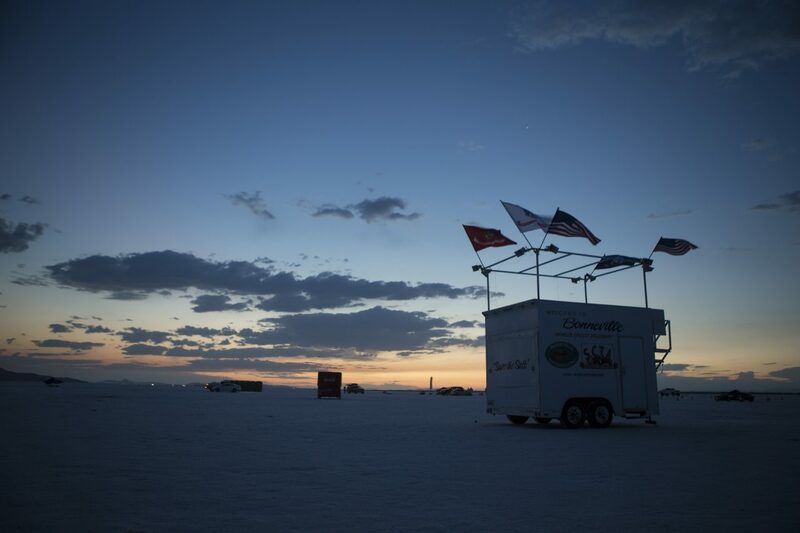 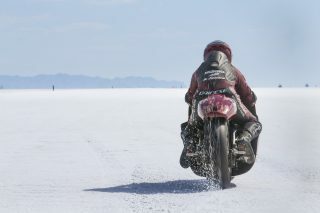 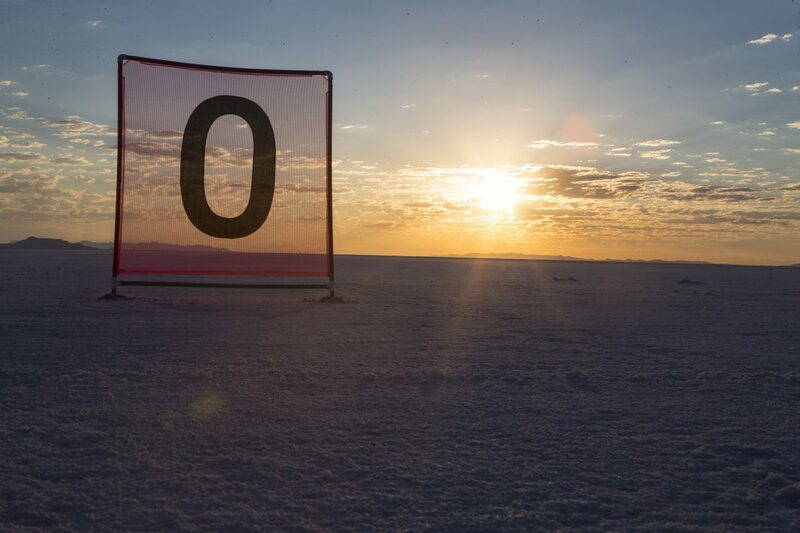 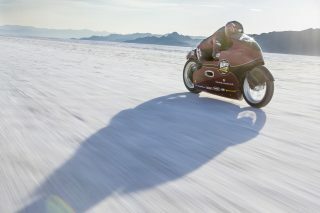 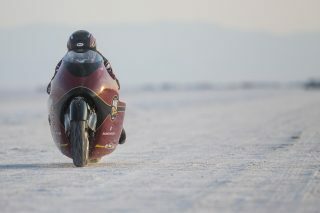 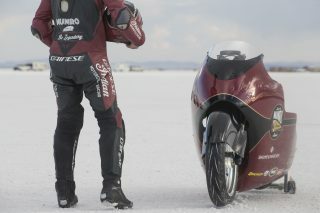 The team’s goal was to match Burt’s land speed record of 184mph to fully pay tribute to his run. 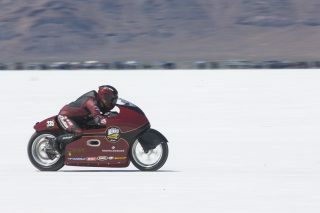 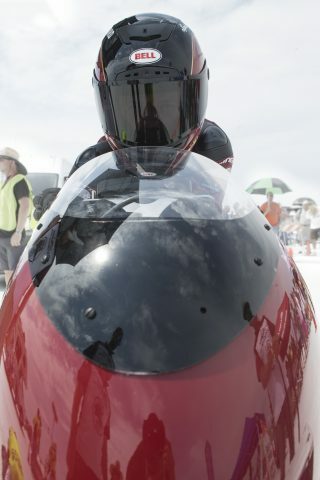 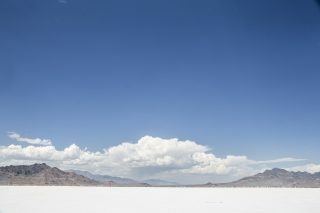 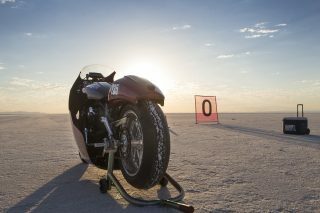 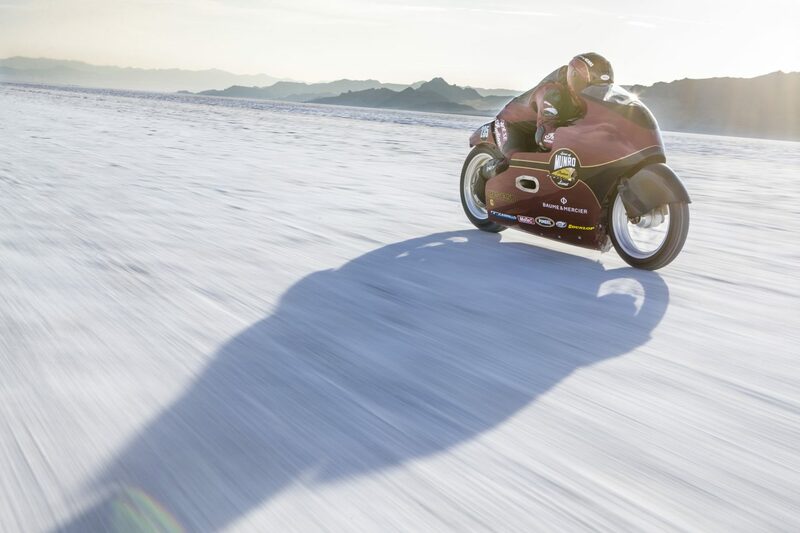 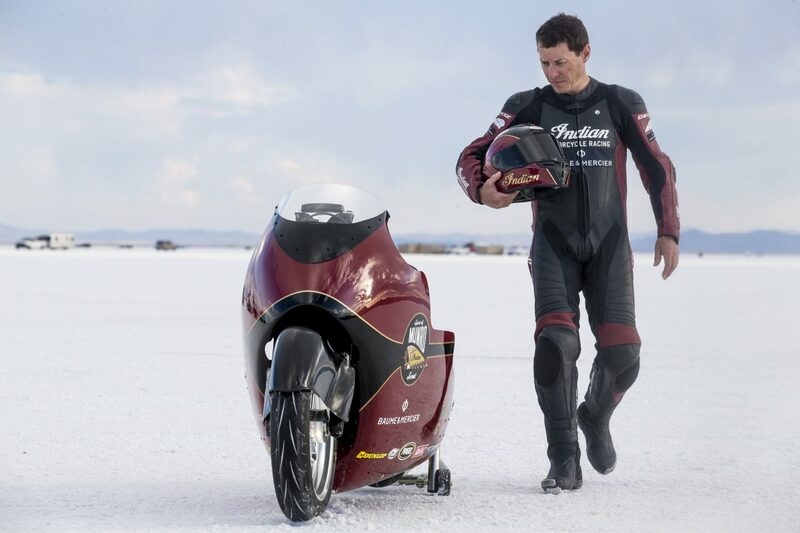 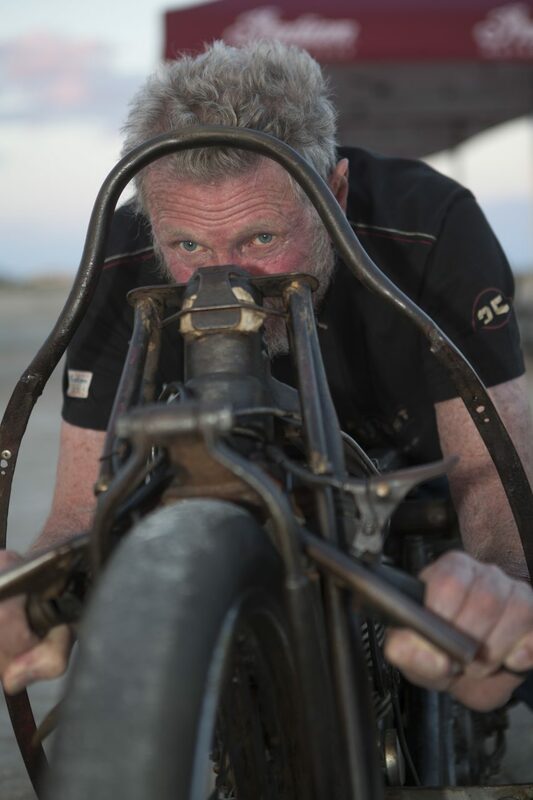 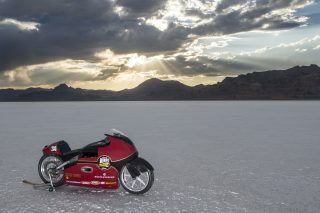 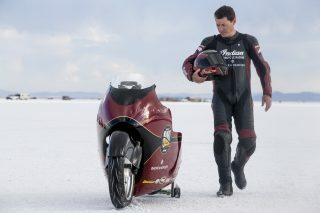 To qualify for Bonneville, Lee achieved his speed licenses through runs at El Mirage Dry Lakebed in California and even secured a land speed record of 186.681mph in the MPS-G (Modified Partial Streamliner) 1350cc class during his rookie run and surpassing the team’s original goal.